Indian Mythology is rich in culture, heritage, complete with tales of miracles, vardaans, shraps and much more. While we look up to the five Pandavas, Lord Krishna, Lord Ram and Lakshman, these stories are incomplete without the mention of women who led the men to victory and played an important role in the defeat of evil. 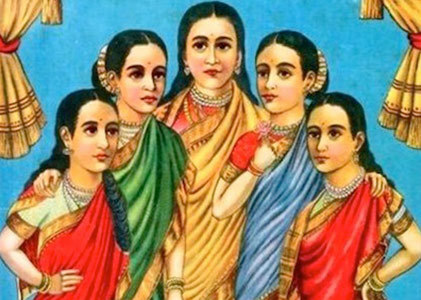 There are five women, popularly known as Panchakanya – the five iconic leading heroines in the Hindu epics. Their names are recited in hymns to atone sins, they are Draupadi, Sita or Kunti, Ahalya, Tara and Mandodari. Sita, Tara, Mandodari and Ahalya belong to Ramayana while Kunti and Draupadi are featured in Mahabharata. The chaste and beauteous wife of Sage Gautama, Ahalya often leads the Panchakanya group. This is because her character is considered to be very noble; her grace, beauty, her chastity etc. She is also known as the most beautiful women in the whole universe created by Lord Brahma. She is the first one to feature among the popular Panchakanyas. Little Ahalya was placed in the care of Gautama until she attained puberty and as she entered womanhood, she was married to him. When Lord Indra spotted her, he was mesmerized by her beauty and soon took on the disguise of Sage Gautama to lure her into physical relationship with him. He did so as she would not entertain his advances as Indra. Falling prey to his trickery, Ahalya consummates the relationship. 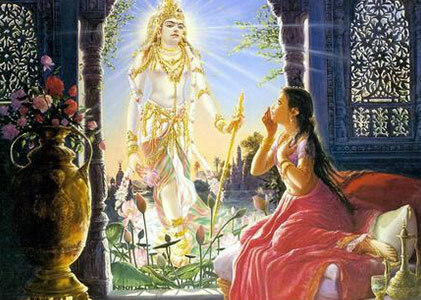 However, when the real sage Gautama finds out, he curses Ahalya. To atone her sins, Ahalya must remain invisible to the world and observe severe penance. 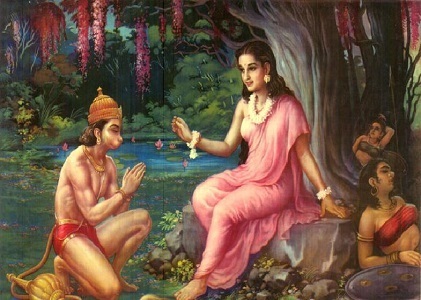 She is rescued by Lord Rama when his foot brushes against her in the forest. Tara is one of the many wise women as featured in Ramayan, the epic. She plays an instrumental role in saving Kishkinda against Lakshmana’s rage due to Sugriva’s forgotten promise. In the battle between Sugriva and Vali, Tara, the queen of Kishkindha plays a major role. After Vanara king Vali is presumed dead, his brother Sugriva takes over the throne and marries Queen Tara. However, Vali returns and exiles Sugriva. 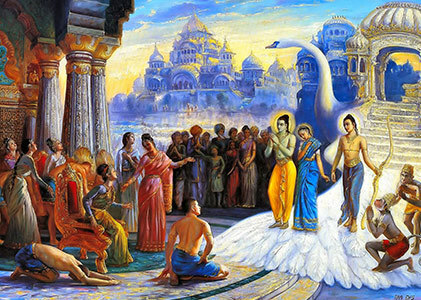 Vali accuses Sugriva of treachery and marries Sugriva’s wife Ruma. Vali then decides to duel Sugriva but Tara steps in to advice him against this as she is aware of Lord Rama’s alliance with Sugriva. However, Vali in a fit of rage refuses to pay any heed. During the battle, Vali is shot down by Rama’s arrow and dies. In his last breath, he reconciles with his brother and asks him to always listen to Tara’s wise council. 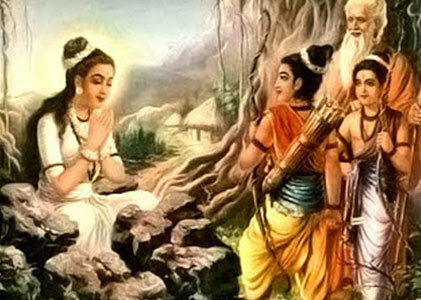 There are other versions which state that Tara was instrumental in reconciling Lakshmana as Sugriva, once back in his kingdom, forgets all about his promise to Rama and Sita’s rescue. Mandodari was King Ravana’s Queen – a very learned and intelligent woman in her own right, she was just and had the foresight to warn Ravana against his obsession of Ma Sita. She was beautiful as she was righteous and pious. She was the daughter of Mayasura, the king of demons or Asuras and his wife Hema, a celestial nymph. When Ravana abducts Sita, Mandodari pleads with him to release her and do the right thing. 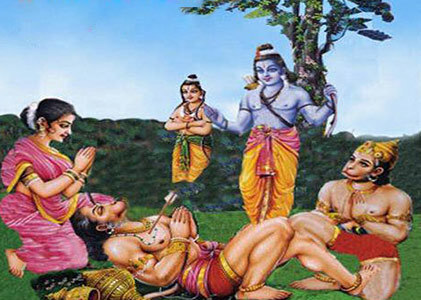 She advises him against his actions and even informs him about the possibility of his defeat at the hands of Lord Rama. She loves her husband despite his many faults. It is Hanuman who tricks her into revealing the location of the arrow which has powers to kill Ravana. 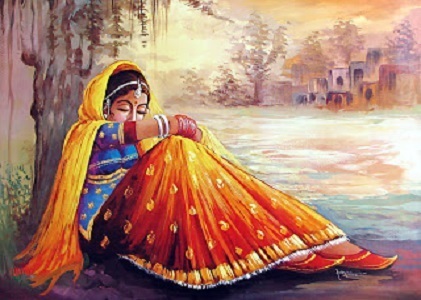 It is said that she cursed Sita that she would be abandoned by her husband. 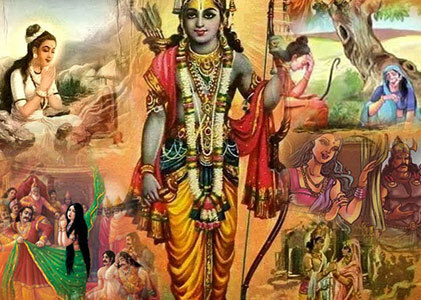 In other versions of Ramayana, it is said that Mandodari is the mother of Sita – a child born to Ravana who would lead to his defeat. When it comes to describing women of substance or women with power, Draupadi’s name cannot be left out. 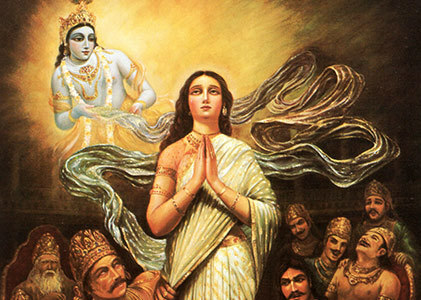 Born to King Drupadh, she was married off to the five Pandavas even though it was Arjuna who won her in the swayamvar. 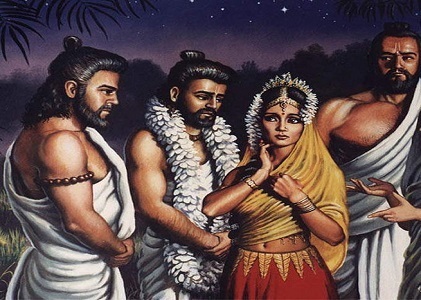 She is known as Panchali, the wife of five husbands, the Pandu brothers – Yudhistir, Arjun, Bhima, Sahdev and Nakul. Born from a sacrificial fire, it was a prophecy that she would lead to the end of Drona and Kaurava clan. While the brothers married other women, she remained their chief Queen among all others. 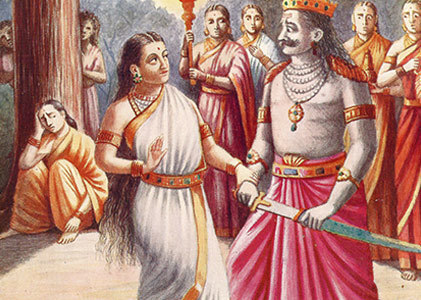 Draupadi’s woes began when she made fun of Duryodhan. Dushasan tries to disrobe to humiliate her husbands while playing the game of dice but her modesty is saved by Krishna. She follows her husbands into exile and when the war of Kurukshetra starts, she is avenged when the Kauravas lose the battle. However, she loses her sons, her beloved brother and her father.